Before 7west Apartment Homes was built in the district known as Seven Corners on the West Bank of the University of Minnesota, the site was the home to Grandma’s Saloon and Grill, the iconic Minneapolis restaurant and night spot. In 1869, an enterprising Italian immigrant named Rosa Brochi opened a boarding house in Duluth, MN, and soon she was affectionately referred to as “Grandma” by her employees and her clientele. 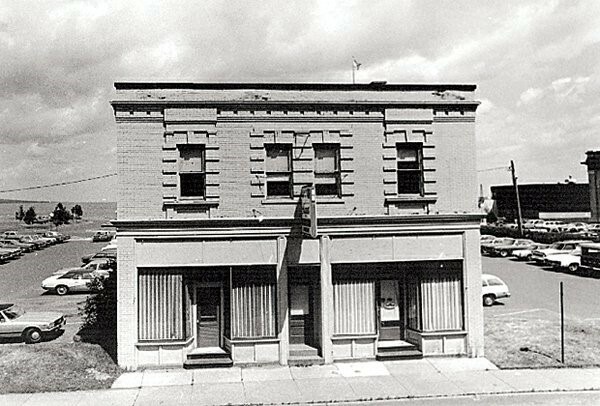 Two generations later, Mickey Paulucci and Andy Borg opened Grandma’s Saloon & Grill in 1976 in the very same building where Rosa had operated her place of business in Duluth. In 1981, they opened a second Grandma’s at Seven Corners in Minneapolis. It became known for its good food, exceptional service, and lively atmosphere, where patrons could enjoy great food, libations and music. The atmosphere was comfortable, and the décor was packed with Twin Ports memorabilia including real stained glass, salvaged tin signs and original neon signs. Grandma’s soon became a vital part of the community and a year later sponsored the first marathon that took its name and still exists today. Grandma’s Marathon is a point-to-point course that runs on scenic Highway 61 along the north shore of Lake Superior. The race begins just outside of Two Harbors, MN, and finishes in Duluth’s Canal Park. Grandma’s Marathon has been named as one of the top five best marathons in the country. The iconic race attracts runners from all 50 states and nearly 50 countries each year and is one of the largest marathons in the United States. The restaurant closed in 2008 for a number of reasons, including the weak economy and the 2007 collapse of the Interstate 35W bridge near the eatery which rerouted traffic for a year, so they opted out of its lease and avidly supported redevelopment. Happily, Grandma’s still has several stores and restaurants that are doing well. After the 7west Apartment Homes building was constructed on the site, the interior design team wanted to incorporate some history into the mix, so they proudly hung the preserved stained glass window from Grandma’s Saloon and Grill in the lobby. It’s an homage to the former home of the iconic eatery. This window welcomed customers in the Minneapolis restaurant for decades, and today it welcomes residents in the same location where they’re proud to live in a place that honors the city’s unique history. 7west, is now a luxury apartment community. It was built with the help of a feng shui master who incorporated traditional design elements to achieve balance and beauty. These stylish apartments feature high-end amenities like expansive nine-foot ceilings, beautiful granite countertops, modern hardwood floors, and floor-to-ceiling windows so residents can savor the views. The community amenities extend the elegant lifestyle with concierge services, a fully equipped fitness center, peaceful yoga studio and rooftop terrace & Zen garden. Since the 7west community is located near several schools in Minneapolis, many domestic and international students live there. Community Director Daniella Goodfellow wanted to keep the spirit of Grandma’s alive and to bring her residents together in the name of conviviality and fun. That’s why, to enhance the social environment, she and her staff regularly hold resident events including food, drinks, raffles, prizes, games and even a photo booth. Once per week they also offer a free continental breakfast for students and commuters on the go, because food nourishes the body and the spirit, just like it did at Grandma’s for so many years. Do you have any memories from the days when Grandma’s Saloon and Grill was in Seven Corners? Do your parents or grandparents? Be sure to ask them for some great stories and share them here. Meanwhile, if you’re ready to feel at home and join a warm and active community, contact 7west Apartment Homes in Minneapolis, MN today by calling (612) 643-5527 or clicking here to schedule a tour, and find your amazing new home.